While muckraking articles began appearing in the late 1800s, the January 1903 issue of McClure’s Magazine is generally credited with the launch of muckraking journalism. 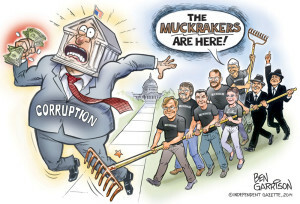 The term “muckraker” actually appeared later, initially in comments by President Teddy Roosevelt in a 1906 speech about journalism, when Roosevelt referred to a character in John Bunyan’s Pilgrim’s Progress as “the Man with the Muck-Rake.” Originally used as a pejorative, the public came to embrace the term, as well as the work provided by these intrepid writers. 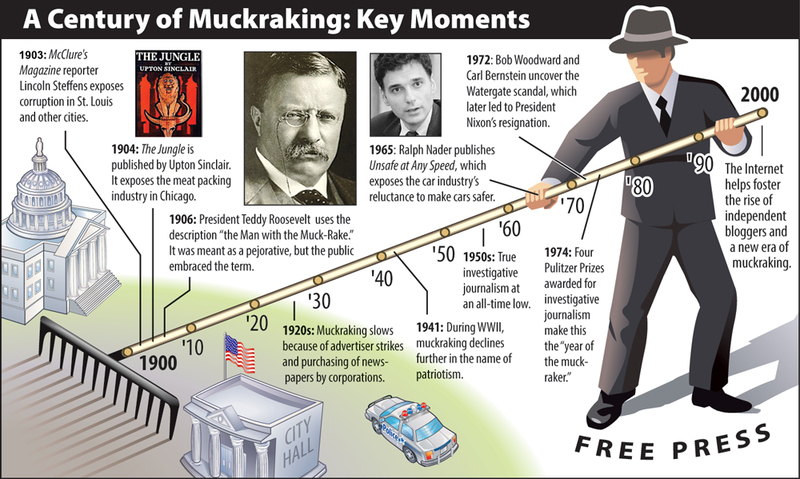 The names of the original muckrakers are iconic today in American journalism. Lincoln Stiffens, Nellie Bly, Ida M. Tarbell, Upton Sinclair, Jacob Riis . . . and the list goes on. Ray Stannard Baker published “The Right To Work” in a 1903 McClure’s Magazine article, an exposè on the lives of non-striking mine workers, and mining conditions in general, focusing on the coal industry right here in Northeastern Pennsylvania. By the time the United States entered World War I in 1917, the era of muckraking had virtually come to a close in print, and the muckraking journalism and writings of Stiffens — typified by his description of Chicago and corruption in state politics in a 1903 article — and others had come to an end. “The police graft, the traffic of authority with criminals, gamblers, prostitutes, liquor dealers, all sorts of thieves, and some sort of murder ers. The evil in Chicago was obvious, general, bold,” wrote Stiffens in his stinging indictment. With the advent of McCarthyism and the Cold War, Edward R. Murrow began to breathe life into real muckraking, investigative journalism in the early 1960s. It did not reach its peak again until the late 1960s and early 1970s. His television documentary Harvest of Shame , about the tribulations of migrant farm workers, was a prime example of muckraking. Seymour Hersh, one of those Pulitzer Prize winners in the 1970s for his reporting on the Mỹ Lai Massacre, has called the current American press pathetic . “I’ll tell you the solution, get rid of 90% of the editors that now exist and start promoting editors that you can’t control. . . . I saw it in the New York Times. . . . The republic’s in trouble, we lie about everything, lying has become the staple,” said Hersh in an interview with UK media outlet The Guardian. We at the Gazette have taken that sentiment to heart. We have been at the forefront of investigating local corruption, nepotism, and cronyism. 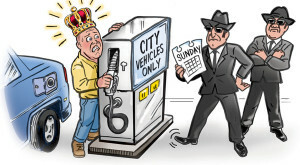 We were one of the first to report on the LAG Towing scandal. 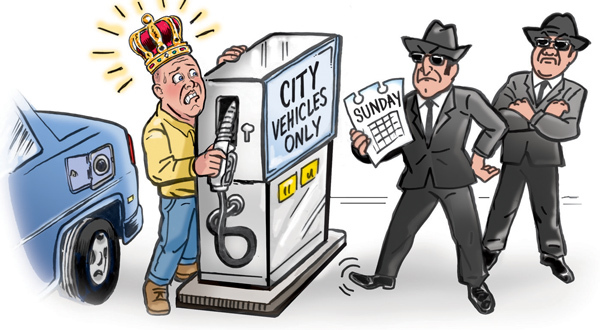 We exposed nepotism in our “Kings and Queens of Wilkes-Barre” article in our third issue. Covering GasGate, BaloneyGate, a local credit union debacle, and the plight of Christians in Syria (as conveyed by Syrian immigrants in Allentown) are other accomplishments we could champion. 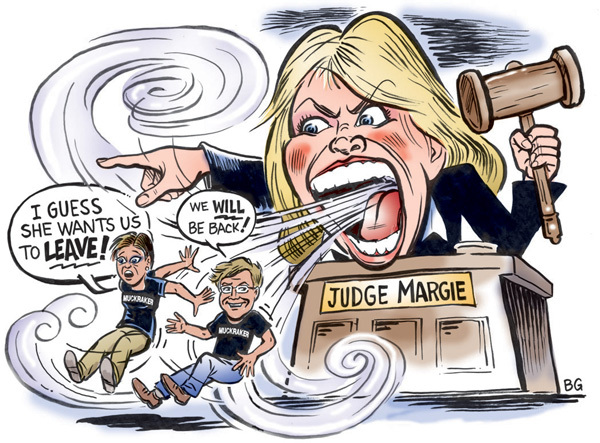 We have been a watchdog, not just of our politicians, but the media itself. We brought to light that a widely-reported Associated Press poll on economic policy was nothing more than a survey of their business writers, and we are leading the way on exposing the corruption taking place in our courts with exclusive coverage in our Custody for Cash series. We have come a long way since we started over two years ago and yet still have a long journey to make. We have ventured where other media have refused to go, and reported on stories that others have spurned. In many ways, we have become a voice for the forgotten, a watchdog for the community, an independent press for an independent people. 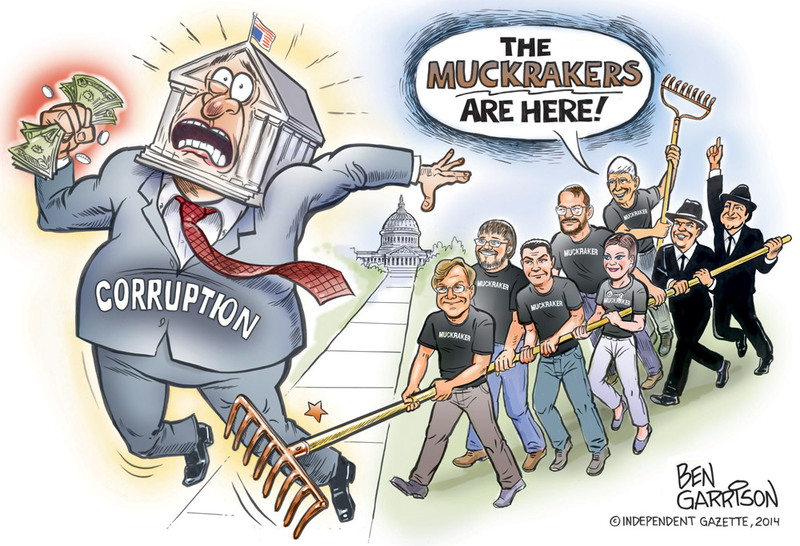 We are the “Muckrakers.” Please consider becoming a Muckraker with us. We want to thank all those who have supported and encouraged us to date. Without the help of so many who have given of their time, treasure, and talent we could not have come as far as we have. If you value what we’re doing, consider joining us by subscribing to the best investigative news in the area today. As a subscriber, you’ll receive a hard copy of the Gazette delivered to your mailbox; a PDF digital version emailed to you before others get to see what we are reporting on; and also some other goodies as a demonstration of our appreciation.